This tenderly blended aromatic moisture mix has amber, lemon, bergamot, myrrh and musk, putting the 'thrilla' back in vanilla. 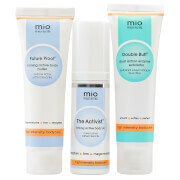 Repeated use will leave your skin silky soft, supple and mouth-wateringly moist. Water (Aqua/Eau), Cocos Nucifera (Coconut) Oil, Ethylhexyl Palmitate, Glycine Soja (Soybean) Oil, Butyrospermum Parkii (Shea) Butter, Glyceryl Stearate, Dimethicone, Stearic Acid, Isopropyl Myristate, Cetyl Alcohol, PEG-40 Stearate, Trimethylolpropane Triisostearate, Sorbitan Tristearate, Phenoxyethanol, Retinyl Palmitate, Tocopherol, Butylene Glycol, Triethanolamine, Fragrance (Parfum), Caprylyl Glycol, Algae Extract, Carbomer, Tetrasodium EDTA, Arnica Montana Flower Extract, Calluna Vulgaris Extract, Propylene Glycol, Sodium Hyaluronate, Limonene, Linalool, Geraniol, Citronellol, Benzyl Alcohol, Alpha-Isomethyl Ionone, Eugenol, Benzyl Benzoate . 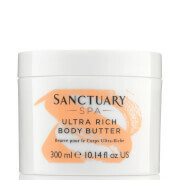 I was told by a friend that this body cream was very nice and that was the reason I bought it. I received it yesterday and I tried it for the first time today after my morning shower!!! It is a very nice product. The smell is great and it absorbs in the skin so easily! The skin feels so soft after the application!! I am happy with my purchase. Thanks.